I had asparagus on the brain after making Smitten Kitchen’s shaved asparagus pizza and having a lovely salad of local lettuces and shaved asparagus at AKA Bistro. 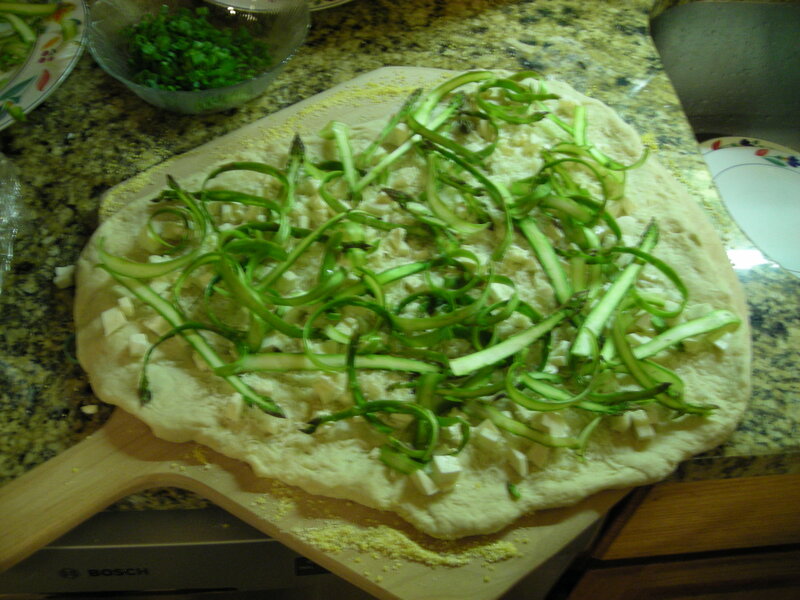 I made the pizza one drizzly night a couple weeks back for some very enthusiastic friends who agreed that the thin crust, scant sprinkle of mozzarella and parmesan, and grassy asparagus topped with scallions was a winning combination. So what else could I do with shaved asparagus?